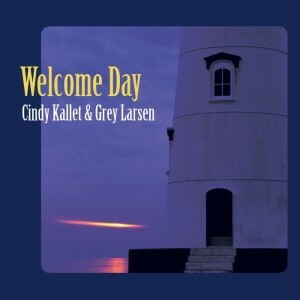 Cindy and Grey continue to celebrate their newest album, Welcome Day. Please visit their newly revamped WEBSITE STORE, which features physical and electronic/downloadable CDs and books, as well as sheet music, choral arrangements, and individual song and tune downloads with a “name your price” feature. We have a newly revamped WEBSITE STORE, which features physical and downloadable CDs, books, sheet music, and individual song and tune downloads, with a "name your price" feature. Check it out!